PCU Flyers & Handouts to share! For a full list of PCU's current classes CLICK HERE! 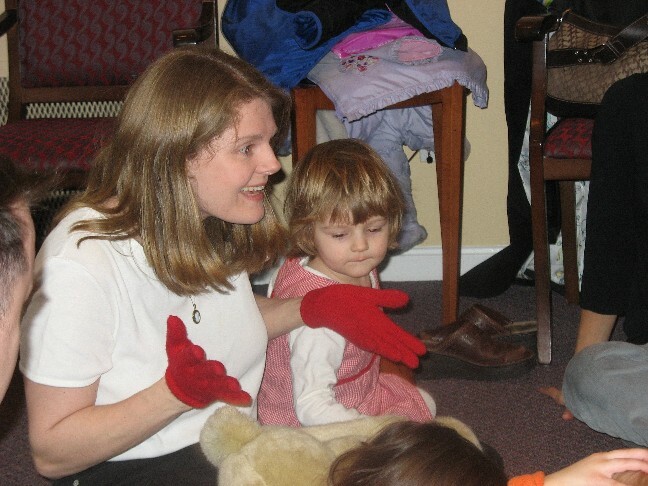 A National Research Study has shown that using sign language with hearing babies and toddlers allows communication and spoken language to happen earlier and faster, while reducing frustration and tantrums. 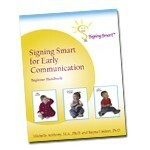 Most children have 2-3 words by 12 months, whereas, Signing Smart children typically have: 5 signs and 1 word by 8 months! and 25 signs and 16 words by 12 months! Most children start combining words into 2 word sentences by 20 months, whereas Signing Smart children typically do this by 11-14 months and some as early as 6 months (including Miss Tracey's)! 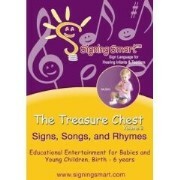 12 month old signs CRY instead of CRYING video! 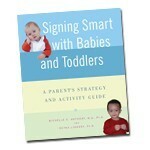 Signing Smart infant signs CRY instead of crying (in a 5 word sentence) video! Miss Tracey (with Signing Simon's 'hands') signs WHAT? The ASL sign for what is this natural questioning gesture. Do you find yourself wanting? A window into your infant / toddler’s mind? To reduce frustration and temper tantrums? Your toddler to do more than just grunt, point, & cry? To have real conversations, starting at 8-12 months (or even 6 months)? To increase your child’s long-term learning potential and IQ (NIH showed a 12 point IQ gain by age 8 in one study)? 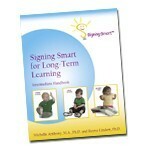 s/he can learn to sign. Copyright 2005-19 Parent Child University®, LLC. All rights reserved.